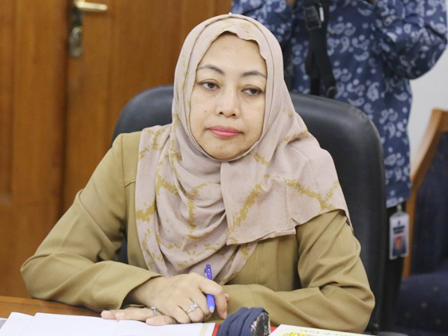 " Physical project is targeted to be finished by the end of this year"
Jakarta Goods and Services Procurement Agency (BPPBJ) will soon complete a heavy renovation auction stage for four social institutions. Jakarta BPPBJ Head, Indrastuty expressed, four social institutions that will heavily be renovated are Anak Putra Utama 1 Klender (East Jakarta); Sasana Asuhan Anak Ceger (East Jakarta); Bina Insan Bangun Daya 1 Kedoya (West Jakarta); and Bina Karya Harapan Jaya (Tangerang). "Heavy renovation of three social institutions has entered the post-qualification announcement. As for Bina Karya Harapan Jaya Institution has entered the stages of the auction results," he expressed, Monday (9/11). He explained, fund for renovation of Anan Putra Utama 1 Klender Institution is amounting Rp 431,138,894, and Sasana Asuhan Anak Ceger Social Institution Rp 2,478,913,440. There are also Bina Insan Bangun Daya 1 Kedoya Social Institution Rp 12,293,170,192, and Bina Karya Harapan Jaya Social Institution Rp 7,120,088,673. "Physical project is targeted to be finished by the end of this year," he closed.